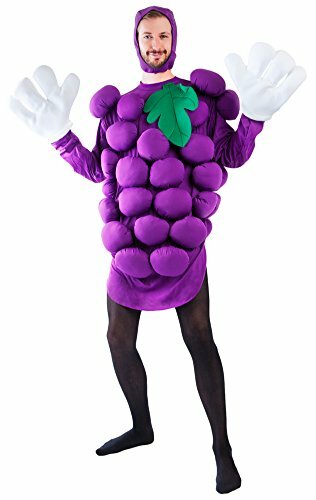 Have bunches of fun in this unisex costume. 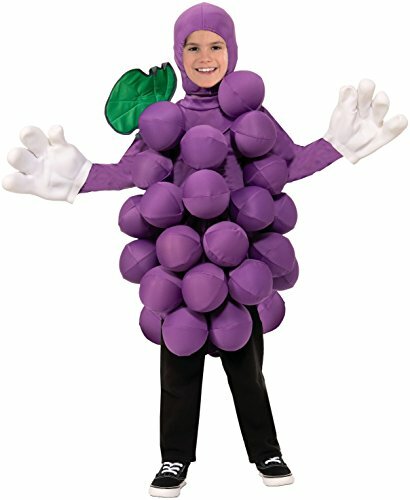 Purple Grapes costume is a hood and tunic, attached sleeves and grape balloons. 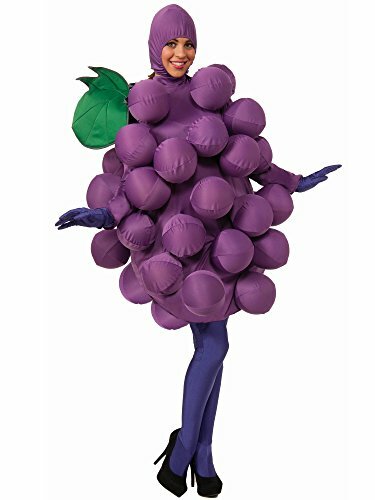 Look to Forum for a large assortment of fruit and vegetable-themed costumes; get together with a group and dress up like the whole fruit bowl. 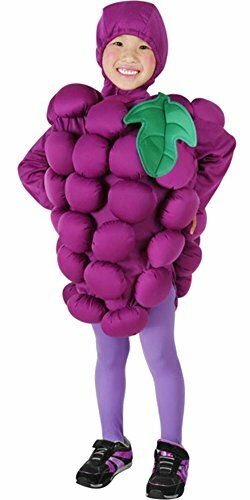 Forum Novelties has become a leader in the Halloween industry, as well as the Joke, Trick, Magic and Novelty gift item business. Over the past 30 years our product line has evolved to meet customer needs and consumer buying trends. We are the proud manufacturers, importers, and distributors of over 8,000 items ranging from baby costumes, to adult and plus-size costumes, to pet costumes. Look to Forum Novelties for all of your Halloween, luau, Christmas, Mardi Gras, and St. Patrick's Day supplies. From funny to frightening, Forum has it all. 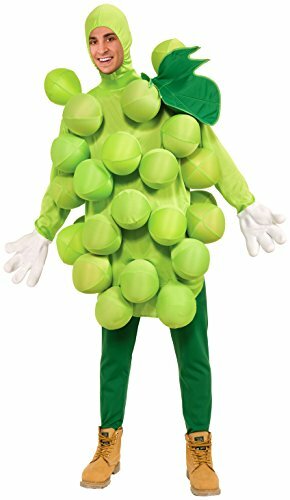 Unisex green grapes costume includes hood and tunic with attached sleeves and grape balloons. 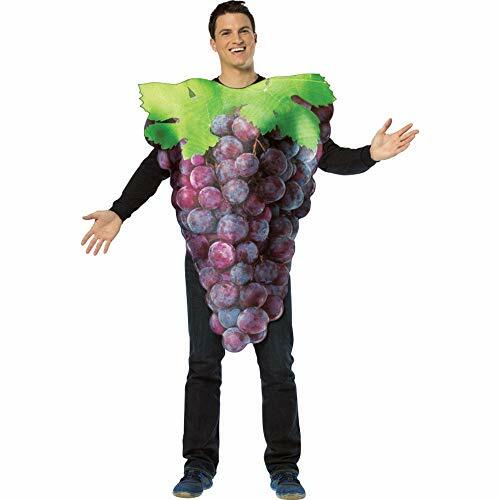 The get real grapes costume is a fun food costume to wear. Available in green and purple. 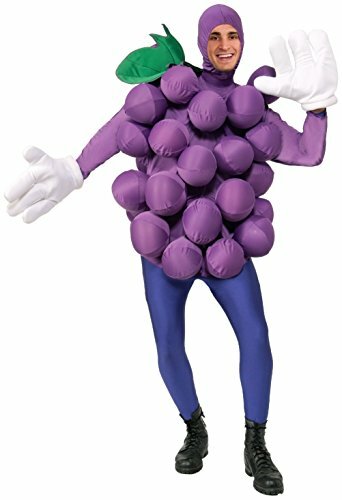 Wear your favorite fruit this Halloween, grapes! 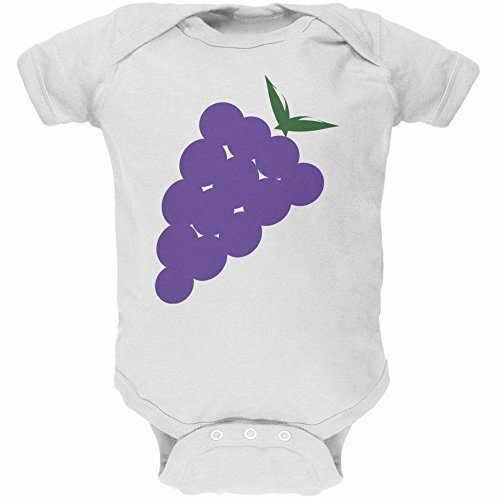 This Old Glory design is printed on a 100% cotton soft baby one piece, featuring a graphic of a bunch of purple grapes.